It’s no secret that Etsy is a great place to sell all kinds of creative products — both physical and digital. But if you want to be in complete control of your business, then I always recommend selling your products on your own website. Now, your website doesn’t need to be the only place you sell your products. Selling digital products on multiple platforms can be a great idea, so if you’re already using Etsy you can certainly stick with it. 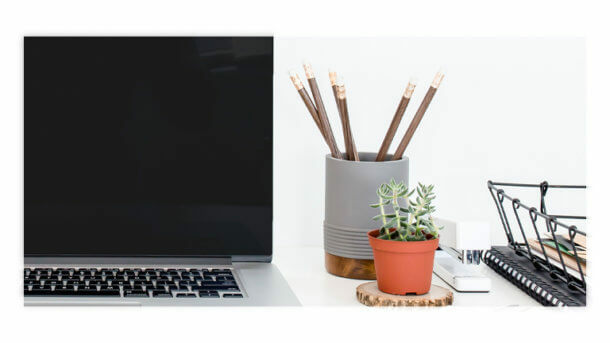 In this post, I’ll explain more about why it’s important to sell products on your own website even if you also decide to sell them on other online marketplaces (like Etsy). You have to adhere to Etsy’s rules and fees. Since Etsy is a “marketplace” for creative products, lots of people use it buy a range of creative products. Because of this, it’s in Etsy’s best interest to protect and grow their own brand and business. They do this with a series of rules and fees that apply to sellers. The biggest fee sellers tend to have an issue with is having to pay per item they decide to list on Etsy. Of course, selling products on your own website means you’ll cut out these kinds of fees altogether. But if you want the exposure of having your products in Etsy’s marketplace, consider listing only your best-sellers there to minimize fees. There aren’t any future guarantees. Sure, Etsy doesn’t seem to be going anywhere anytime soon. Still, there’s always the possibility that there could be major changes to the Etsy marketplace that end up negatively impacting your business. Not to mention, Etsy could completely shut down at some point. So, selling your products exclusively in their marketplace means you risk having to start over from scratch should Etsy ever go down. You can’t brand your Etsy shop. Now, YES – you can have a banner for your shop, and you are in control of your product photos, but that’s about it. 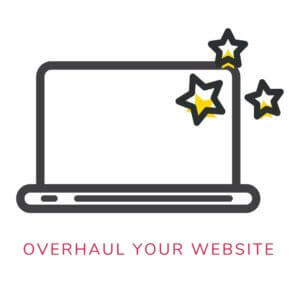 Selling your products on your own site means you have the freedom to display your offers however you like, so that people associate those products with your brand right away. Etsy simply doesn’t offer the same customization options you would get with tools and platforms that allow you to add a shop to your own website. You can use it like “secondary” website/shop, since it would allow you to reach a whole new audience. Etsy’s search is similar to Google in that it narrows down search results to make it easier for shoppers to find what they need in a variety of niche markets. A lot of people love shopping and selling on Etsy since it’s known for showcasing small businesses and unique products. You can promote your brand in Etsy’s curated marketplace by becoming a featured shop-owner. If any of your products become Etsy-featured best-sellers, those items will likely get a lot of traffic (and sales!). 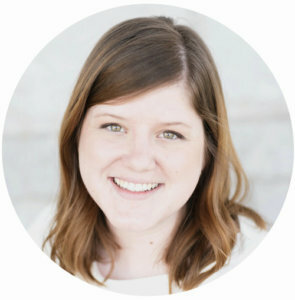 My friend, Olivia, is a great example of someone who utilizes both Etsy and her own website! Ready to set up shop? 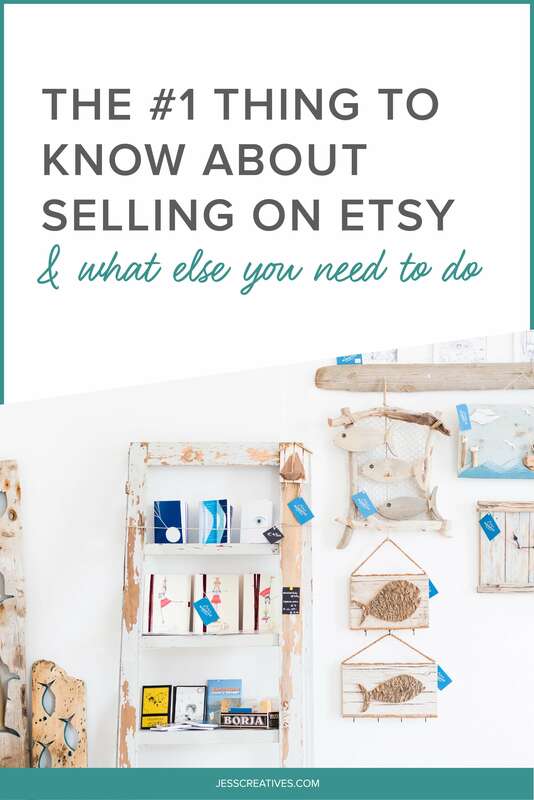 Before listing your products on a secondary marketplace like Etsy, start by setting up shop on your own site. Watch the video below for my comparison of Squarespace and Shopify — two simple platforms you can use to start selling products on your site right away.